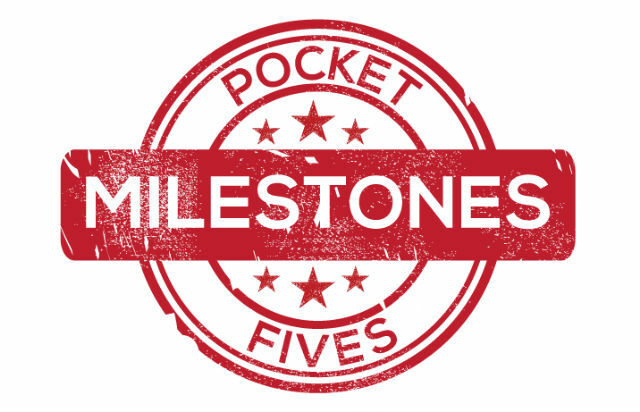 Each month, The PocketFives Milestone Report looks at the online poker players who are achieving career-best achievement or reaching new heights in the rankings. Three longtime members of PocketFives climbed over the $2 million lifetime earnings mark this week. Mikhail ‘zinka’ Galitskiy, currently ranked #82 in the world, pushed past the mark with his runner-up finish in a $109 PokerStars tournament on March 9, taking home $2,727. The Russian has been on fire in early March outright winning four different tournaments, highlighted by his victory in the PokerStars Daily 500 for nearly $12,000. In total, through the first half of the month, he’s recorded six four-figure or greater scores. Jonathan ‘Gil3000’ Gill, Birmingham, UK’s #1-ranked player, scored a victory in the PokerStars $55 Daily Marathon on March 7 for over $8,000 to help him top $2 million. Gill, a one-time PocketFives Triple Crown winner, received his big push to the milestone back in February with a second place finish in Event #45 of partypoker’s Powerfest for $72,743, nearly a career-high score. Gill’s countryman, Ben ‘gs08bjohnson’ Jenkins, is the third member of the $2 million club this week. The UK mid-stakes grinder nabbed a podium finish in the PokerStars $22 Mini Sunday Supersonic for just under $6,500 on March 11 and combined with his victory in another $22 PokerStars tournament for $885 on the same day, hit $2 million. Four players earned their $1 million lifetime earning badges this week. ’Mihai Nutt’ and ‘aagoodfold’, both hailing from Romania were joined by Ukraine’s #7-ranked player ’1111AA1111’ and Brazil’s Guilherme ‘pelckito’ Franco in hitting the mark. Franco has been making a push to join the Worldwide Top 100 lately, currently sitting ranked at #103 in the world. Eight players surged up the Top 100 of the PocketFives Worldwide Rankings to reach new career highs including Uruguay’s superstar ‘kofi89’ who sits just outside the top 10 at #11 and London, UK’s ‘Kashmiri’ who debuts in the top 100 at #85. But all eyes should be on Argentinan Ramiro ‘Ramiro’ Petrone (the player formerly known as ‘rayastar’) who on the heels of a massive career-high cash for over $282,000 became the #3-ranked player in the world. Petrone has been a regular in this column, steadily climbing to new heights just about every week in 2018. As well as climbing the ranks of the Top 100 he also just recently crossed the $3 million lifetime earnings barrier. Now, this is where things get really tough for ‘Ramiro’. The #3 ranking has seen its share of contenders in recent weeks, all looking to jump into the #2 spot to challenge the perpetually top ranked ‘C Darwin2’. All of them have stalled out at #3. Petrone has already proven he’s elite, but the question is – will the Buenos Aires pro make history?